Why is your monitoring rate so low? We strive to keep our overhead low so we can provide the same 5-diamond rated monitoring as other companies for a fraction of the cost. Thanks to our low prices and commitment to excellent customer service, our customers stay with us for a long time, and they refer their friends and family. Do I need a permit for my city? Almost all cities require an alarm permit. Contact your local police department to find out how to apply. Alarm permits are the customer’s responsibility and are at the customer’s expense. Click here to browse our library of permit forms. How can I get a User Manual for my system? Browse our library of User Manuals for systems commonly installed in the Dallas Fort Worth area. A discounted rate is offered to customers that pay by automatic ACH draft. ACH drafts are usually initiated monthly on the business day closest to the anniversary of your installation date. Credit card or paper invoice billing is also available. To pay your bill online now, click here. Most installation or activation appointments are scheduled in less than one week. Technicians are scheduled to arrive between 9am – 12pm or 1pm – 6pm, Monday to Saturday. Yes! Any equipment we install is automatically covered for 90 days. We also offer extended service plans good for as long as you are monitored by DFW Security. Call for options and details. Yes! We know that a low rate and quality service will keep you as our customer for a long time. Unless the government raises taxes or other regulatory fees, we guarantee your rate will remain the same for the term of your agreement. If you move within DFW’s service area, we can transfer your service to your new home or business. Or, if the new owner signs a new agreement with DFW, you will be released from yours. Because our monitoring rate is so low, most owners are happy to use our service. For more details, call (877) 372-0350. We can still help you! A one-time upfront fee may be required, depending on your credit score and the package you choose. No problem! If you are renting or leasing your home, the homeowner will need to give written permission. An upfront equipment purchase could be required, depending on the program you choose. Can you protect my apartment? Yes! You must obtain written permission from the apartment owner, and pricing and packages vary. An upfront equipment purchase may be required, depending on your credit score and the package you choose. Yes! Get a $100 account credit for every new customer you refer to DFW Security! Make sure the person you refer mentions your name when they contact us the first time. Additional accounts or added locations do not qualify for a referral credit. What if I am under contract with another company? We understand you are excited to switch to DFW, but please pay off or fulfill any agreements with other companies prior to starting our service. Most companies have an automatic renewal clause, so even though you completed your initial term, you may still be under agreement. How do I know if my existing alarm system is compatible? Click here for a list of compatible systems. How do I know if my phone service is compatible? A regular telephone line is required for landline alarm monitoring at $12.95 per month. Internet phone lines are not compatible. DFW can add a cellular communicator to your alarm for a one-time equipment purchase, and monitor your home or business for $16.95 per month if you do not have compatible phone service. You can also upgrade to Smart Security, which includes a built-in dedicated cellular communicator and does not require a landline. How do I know if my smoke detectors can be monitored? Most homes DO NOT have smoke detectors that can be monitored. If your existing alarm system includes monitored photoelectric smoke detectors, we may be able to monitor them if they are up to code. The Texas Fire Marshal requires that if any changes are made to an existing system, the fire equipment and wiring must meet current fire code requirements. In many cases extra equipment and/or wiring may be required. DFW does not monitor commercial fire systems. For more information on fire systems, click here. Smart system features work best with high speed internet. For cameras to operate properly, a minimum upload speed of 2.5 mbs is required per camera. 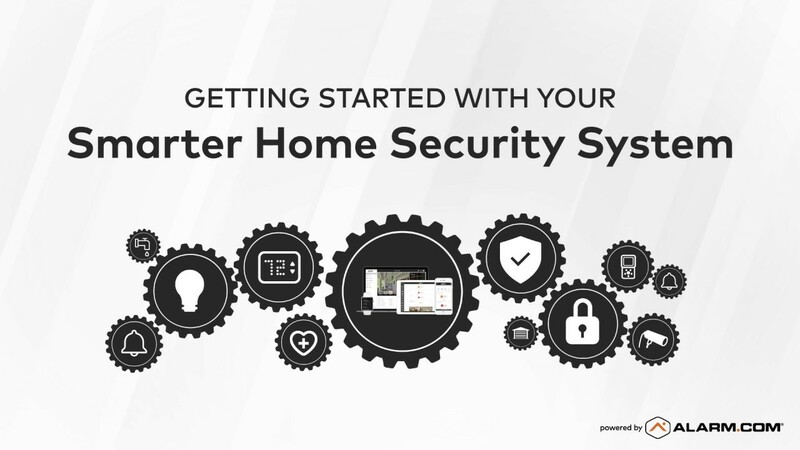 A smart security system includes 2 main features that distinguish it from a traditional alarm system – a mobile app with alerts and notifications, and wireless monitoring of all activity (not just alarms). Learn more about the many advantages of Smart Security here. What is included with Smart Home Automation? Smart Home Automation always includes a Smart Security System that can be customized to fit your specific needs. You can choose to add locks, lights, cameras, and/or thermostats, with the ability to control them from a single mobile app. You can also add alarm components, garage door control, and/or a doorbell camera. Call our friendly experts to help you design the perfect system for your unique situation.